No matter what stage you’re at in your life, whether you’re a student, have a family or you’re retired, everyone loves saving a bit of money whenever they can. As the old saying goes: look after your pennies and the pounds will look after themselves. Unfortunately, that isn’t always the case – especially on holiday. People especially like saving money when it comes to holidays, weekends away and other special occasions – is there any better feeling than finding a good bargain? So, here at Cotels, we’ve come up with a few hacks you can follow to save some money on holiday. Whether you are planning a weekend away to the Cotswolds or a week in the South of France, there are always deals on flights, trains, hotels and apartments available. To find the best ones, try setting up alerts on social media and continually scouring money-saving websites; you could bag yourself a deal on a luxury serviced apartment for half the price if you search enough sites! Easyjet is a good example of a company who always have last minute summer holiday deals and all-inclusive packages available, so be sure to keep an eye out. When you arrive on holiday, if you’re planning on hiring a car, don’t do what many of us do and accept the terms and conditions before fully reading them. Often, many companies will try and sell you the most expensive insurance when, depending on what activities you have planned, you might only need the standard cover. Think of the alternatives; if the city, country or island you are visiting isn’t very big, you could hire a bike or look into using public transport to save money instead. It’s also a great way to see some sights and get active at the same time. It’s been discovered that the quickest and cheapest way to get cash while abroad is to go directly to an ATM. Many bureaus hike their charges up and have hidden fees involved, to take advantage of the fact that you may not know the country or area well enough to know where else to get cash out. Even if the ATM has a surcharge, oftentimes it will still be cheaper than paying the fees at a currency exchange bureau. 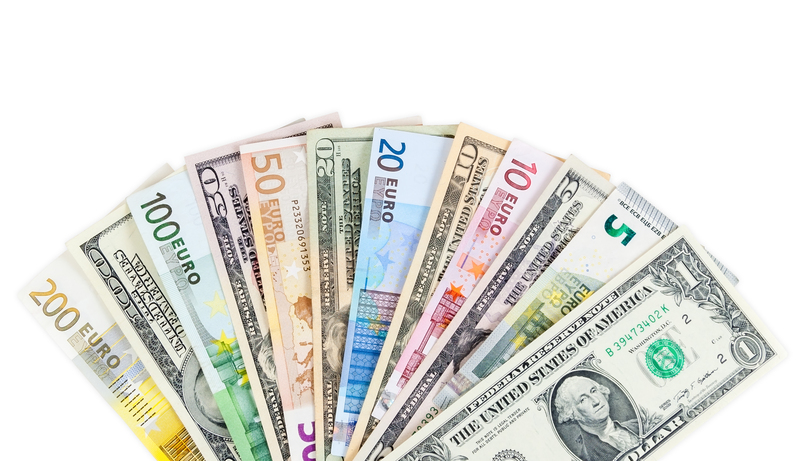 If you’re unsure how much your money is worth in other currencies, use an online currency converter to double check you’re getting the best rate possible. Many tourist attractions are expensive, but there are also a lot of free guided tours out there – you just need to do your research! For example, if you’re visiting New York and want to get a glimpse of the gorgeous skyline, instead of paying the big prices of the Empire State Building why not head over to Bar SixtyFive in the Rockefeller to watch the sunset and get a birds-eye view of Central Park? All you’ll have to do is buy yourself a cocktail at the top and, voila, you’ve saved yourself over $40! If you’re jetting off to a country outside of Europe and haven’t already sorted out your mobile data with your service provider, then chances are you’re going to be charged an arm and a leg for texting, taking phone calls and using the internet. With a little extra planning it’s possible to save a lot of money while on holiday, whether you’re travelling on a budget or treating yourself to a blowout trip. By following these top budgeting hacks, you’ll be sure to bag yourself a bargain trip away – enjoy!